Still can't decided on a front door color! While it may appear I only think about Halloween all month long, I do have a few other things rattling around in my brain. The one nagging question that is ever pressing is something I've been thinking about for a while but I just can't come to a decision. What color to paint my front door??? 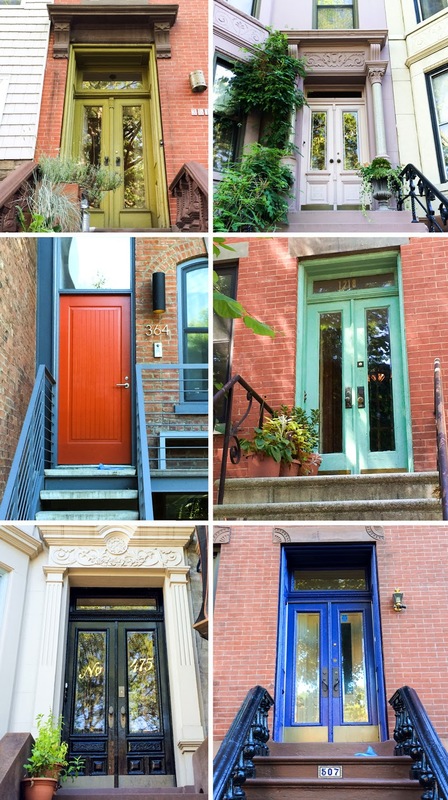 I even took a stroll snapping photos of some of my favorite front doors in Brooklyn (read more about it at mycolortopia) to help clear my head but it hasn't helped at all. I'm usually a pretty decisive person but not in this case. I have ruled out bold shades like hunter green and royal blue so I guess that's a good thing but there are several more neutral shades I can't stop going back to. Of course, I can't go wrong with classic black so that's definitely still a front runner but the thought of a greenish gray or deep blue gray is hard to resist. The upside is that I really love so many options but alas, I have but one front door. I have just painted mine over the weekend Farrow & Ball Manor House Grey. I love it!!! Still like the black door and the creme top right. Oh my! I cannot wait to buy my own house or condo so I can change my door color. First and foremost I want a cute heavy door with a nice handle. I'm thinking of a bright red, deep sea blue, or yellow. Wonderful colors!! I love the Lowes Montpelier Green. That is my front door. I love the top right and bottom left colors! But grey would be perfect! The pear green door & the dark blue door look awesome!!! But greenish grey sounds awesome, too, if you don't want the colour to be too bold! Nothing more timeless and classic than good old black. What are your exact neighbors colors? Maybe pick the one that compliments them best so you don't "clash"
All different colors and/or stained doors.  All of the houses on my side of the block are limestones and brownstones in the exact same style so there is plenty of conformity without color coordination. I agree with Casey that you need to look to either side of you so that you "fit with the neighborhood" so to speak. I would love to see a deep gold. It works so well for Halloween and contrasts beautifully with red and live greenery at Christmas. Metallic Gold would be beautiful. The Habitually Chic has an instagram photo on her blog today of a house very similar to yours posted-please check it out-11-1-14. I can't believe how lovely it is. The other consideration is to keep the stain on your wooden doors using Cetal -I purchased mine from a Benjamin Moore dealer and love it .Once stained doors are painted,staining will not be an easy option,as you know. Best of luck-can't wait to see what you will choose.